One20 possesses core competencies in architecture, Interior Design and urban masterplanning. In addition we have a specialist environmental sustainability and technology unit which has worked on many successful designs such as the Chatham tower project illustrated above. Australasian Director, Adrian Light has worked on several award winning ESD projects from around the world, including the winners of the Australian National award for Interior Design in 2001 and 2003. ONE20 designed interiors have been finalists in the Dulux colour awards. The Hongo Kongo House in Beaumaris was recently one of 3 finalists as Best Ecologically sustainable home in the Bayside Council built environment awards. The conversion of the Skipping Girl Vinegar factory won the National Sustainability prize in 2018. Adrian has an array of experience in the planning of complex buildings. These include the NAB Melbourne Headquarters (National RAIA Interior Design Prize) University of the Sunshine Coast library- winner of numerous awards (The RAIA National Sir Zelman Cohan award, Qld RAIA Merit award and the FDG Stanley Award), Ultmo Community childcare centre (winner of a NSW RAIA award), the University of Technology, Sydney library, The Australian Graduate School of Management at the University of NSW, Queens Medical Centre Nottingham, Suffolk College and the Belper Town redevelopment. He was the project leader for the $180 million International Broadcast Centre for the Sydney Olympic Games. The project involved the complex co-ordination of television studios from around the world in conjunction with their demanding services requirements, all on an immovable program. Adrian was involved in the Masterplanning for the Sydney and Athens Olympic Games as well as the masterplanning of Greenway, a multi-billion $ Ecologically sustainable town development in the UK. 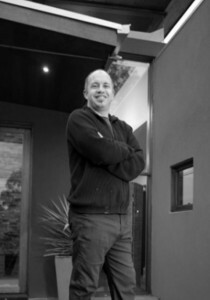 Adrian Light has worked in Architecture since 1988. Adrian has specialized international competence in the design of large scale projects including several award winning urban design and revolutionary sports facilities.Adrian also has considerable experience in projects involving user consultation. He was lead designer for the International Broadcast Centre for the Sydney Olympic Games.He has tertiary and postgraduate qualifications in the field of architectural philosophy.He has lectured at University on the roles that gender and the body play in architecture. Recently he has been working as a specialist consultant in sports projects.He is currently a director of ONE20 Consulting in Australia.